Home selling can be a daunting process if you’re not prepared for the problems that may arise during a buyer’s home inspection. Most home buyers don't want to be burdened with repairs and issues while buying a home. Therefore, a pre-listing inspection is your best bet for addressing as many concerns as possible with your home before you list it. This will help you get an edge on selling. 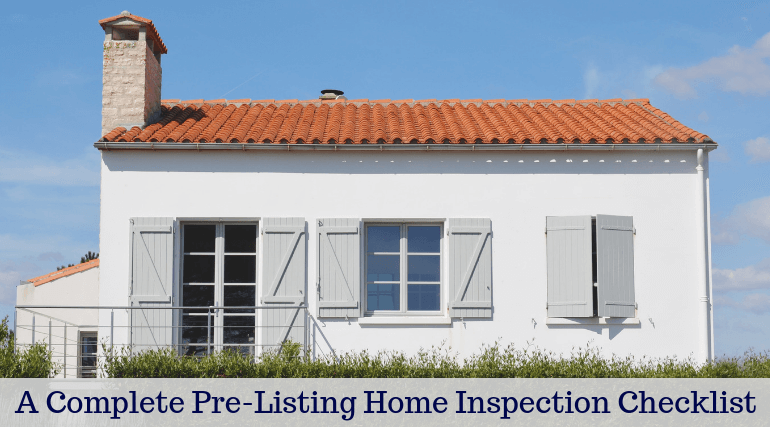 Here is an overall pre-listing home inspection checklist for selling your home. Trouble with any of these systems could affect a possible sale, so it is crucial to check and fix any issues with these before listing your home. These tasks are not only cost-effective and straightforward to perform, but they also add to your home’s worth. All these measures will significantly improve the appearance of your home. Buyers will certainly appreciate these safety measures and home inspectors will report on safety mechanisms in their home inspection report. Professional home inspectors have noticed several issues that buyers usually encounter on the home inspection report. When these concerns are detected and rectified it will ease the selling process and make your negotiations simple.